Come Experience The Practice of Embodied Prayer and Ecstatic Worship Through Expressive Movement and Dance. Dance for the One is a group where you learn to explore the medium of sacred dance, inspired movement, and mind/body meditations as pathway of prayer, meditation, insight and healing. Disconnection from our bodies often leaves us feeling confused, depressed, or even bored with life. Our sparkle fades and our radiance diminishes. 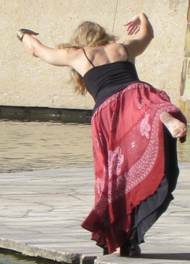 Dance and movement teach us how to reawaken our inner passion for life and help us remember our true purpose by reconnecting us with our own Divine Feminine source. 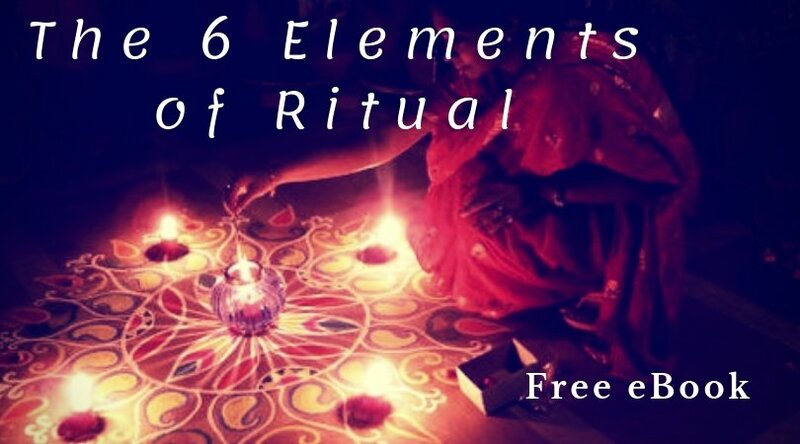 Sacred dance is about learning to channel this divine energy intentionally through our bodies for the purposes of healing,manifesting, spiritual awakening, or any other intent we bring to the dance. 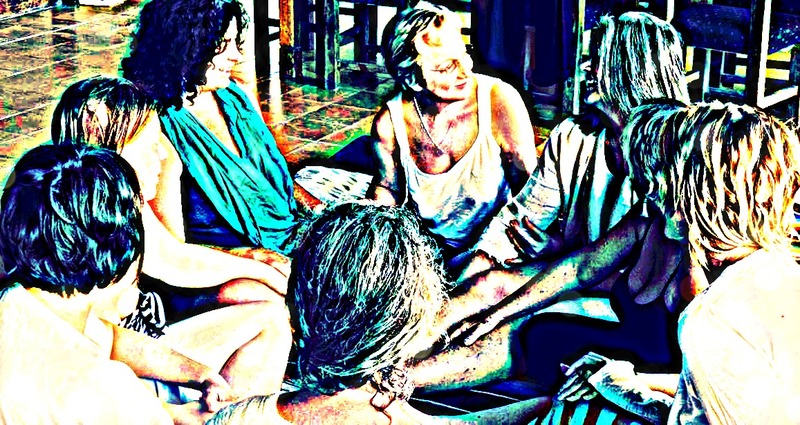 This class is different from ecstatic dance (which is largely unstructured and free form) in that it is a guided blend of both structured and unstructured dance and movement combined with mind/body healing and meditation techniques that help us to cultivate more presence, awareness and result in us feeling more confident, connected to life, and alive. Come out and move, reconnect, heal, feel confident again, connected to and supported by life, and radiant! When we can learn to intentionally come into contact with the sensations and feelings present in our bodies not only do we increase our flow of life but we deepen our connection to God, the Divine Source of the All that Is. Through movement we learn to experience ourselves as the source of love itself and use dance as a way to ignite the feeling of connection to God in others. The feminine is expressed within and through the body. The full embodiment of our physical, emotional and spiritual experience is the highest expression of our feminine spiritual essence. Most of us have been taught that our bodies are ugly or bad or that we should not feel pleasure or we are selfish or vain for doing so, or perhaps trauma has caused us to shut down in some way, stifling our creative life force. Movement is one of the most direct ways to take us out of our heads- where we tend to be stuck all at the time- and right into what is happening in the here and now via the body. In this class I help you learn how to instantly shift from one mental-emotional state to another using the power of mantra, meditation, and movement. Sacred dance is nothing more than using dance as a path of healing, experiencing your body and its movement as pathway to the divine. We commit to practicing Presence not Performance. There is a big difference between "performing" and "presence". Prayer is ultimately about deep communion within oneself and God. This requires the consistent practice of Presence. We do this through cultivating and harnessing our awareness to remain connected to the body and learning to allow the body to move in response to whatever we encounter there. This is the way movement becomes prayer. We do not seek to perform dance. but rather we allow ourselves to become dance and in this way we connect more deeply with God. This group is intended to be a safe container for our inner work and our outer expression of who we are and what we are doing in the world. Bring ALL of who you are to this experiene and let this be your space to be witnessed in your radiance, to be witnessed and grown into who you are meant to become.